Online poker has been popular for over a decade now, and hundreds of millions of people throughout the world, including those in the US, enjoy it. 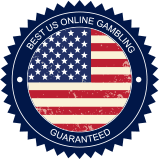 Although there are no providers of online poker located in the US, there are many offshore poker rooms that take US players, and some that have been created specifically for those players located in the USA. Online rooms present many different opportunities to play poker. Here’s a look at what you’ll find at an Internet-based room. Sit and Gos – As the name implies, once a table is full this mini-tournament starts. Tournaments – These are scheduled events that have a specific starting time and date. Cash – Poker tables where people play for real money and can come and go when they please. Free Rolls – Tournaments that have no entry fee but offer cash prizes. Play Money – As the name implies, free cash poker tables where the chips have no cash value. Poker is a card game played with a 52-card deck. Poker honors specific hand rankings and has a certain progression of cards being dealt and bets being made. Factors that define variants, that is, different poker games, include the sequence of cards being dealt, the number of cards dealt, whether or not there are community cards, and when bets are made. Draw Poker – Each player gets a full hand dealt and then can replace cards with others. Stud Poker – Players are dealt full hands with some face-up and others face-down. Community Card Poker – Players are dealt hole cards and then share cards that are revealed in a certain sequence. The most commonly played draw poker game is five-card draw, while five-card stud and seven-card stud are the most often-played games of this type. As far as community games are concerned, you’re most likely to find Texas Hold’em, Omaha, and Omaha Hi-Lo being played. The most popular online poker game by far is Texas Hold’em, which is also the most popular game played at live poker tables. The game is easy to learn, but very challenging to master, as the only thing that separates one player’s chances of winning from another’s are the two cards he/she is holding in his/her hand. Also, there’s a good chance that you’ll find Omaha and Omaha Hi-Lo at your favorite online rooms. Omaha is similar to Hold’em, in that there are five community cards, but different, in that each person receives four hole cards. Each player uses three community cards and two hole cards to create their best hand. Omaha Hi-Lo is, in essence, the same as Omaha, but pots are awarded to both the high and low hands. If these last three games are available online, you’ll usually find them offered in tournament play, or perhaps as sit and goes. Many online poker rooms offer first deposit bonuses and reload bonuses. Both types of bonuses vary a lot from room to room. A first deposit bonus may be anywhere from 25% to 150% of your initial deposit. Most rooms offer from 50% to 100% on an initial banking transaction where cash is put into an account. Some rooms provide reload bonuses, while others do not. Reload awards range from 25% to 75% with 50% being common. Of course, offers change from time to time, so a room that offers a reload eventually may not, and vice versa. These bonuses are usually not readily available and are given out in units ranging from $5.00 to $10.00. Players must gather a certain number of VIP points, which are awarded when playing cash or buying into tournaments, to be able to use their bonuses. Also, many online poker rooms have a refer-a-friend program. These programs, which reward you with anywhere from $25.00 to $100.00 when you refer someone to them, and they join the room and make a first deposit, can increase your bankroll substantially. The money must be used at the poker table and may not be withdrawn. The most common types of betting parameters offered are pot limit games and no limit games, although you may also find limit poker. Pot limit means that the amount you may raise is equal to whatever is in the pot, while no limit is just that. Any player can put all of their chips in at anytime in order to raise in no limit poker. Limit poker sets specific ceilings on raises. As an example of you’re playing $1.00/$2.00 limit, during a round of betting each time someone raises it may be in increments of $2.00 or $4.00. Usually, there are three raises allowed per betting sequence. Thus, if Player 1 raises to $4.00, Player 2 may raise again to $6.00, and then Player 3 to $8.00. After the first round of betting, players may in subsequent rounds raise each time by $4.00. Most tournaments and sit and goes tend to be no limit events, except for Omaha, which will often be pot limit. Cash games online at some sites may start as low as $0.01/$0.02 (mini-stakes) and go up to $50/$100 (high stakes). Tournaments – Usually 6 or 9 at a table with 1 payout per entered table and top finisher getting about 50% of the prize pool. Bounty Tournaments - Same basic prize structure but players receive a bonus each time they knock someone out of the tournament. International debit cards, once loaded and registered, can be used to directly fund your online poker account. Due to US laws, bank transfers, VISA or MasterCard, PayPal, and personal checks may not be used to fund your poker account. Most often US poker players will withdraw cash from their account by having a wire transfer sent to their bank or requesting that the poker room send a check directly to them via a courier service such as Federal Express. Before withdrawing funds you will need to confirm your identify and address with a current picture ID, such as a driver’s license, and a recent utility bill that has your name and address on it. Playing online poker can be great fun and very convenient. Here are 10 tips that will help ensure that you have a good time at the online poker table. Find a poker room that’s right for you and begin enjoying this entertaining game. Poker is a great game because it involves a high level of skill and demands that you utilized finely tuned analytical techniques. But remember no matter how well you play, every poker player gets rivered, has their pocket Aces cracked by pocket 2s, and loses races. Still, this is a game that offers players hours of online fun and excitement.